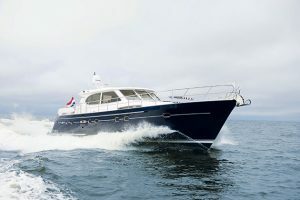 The Elling E6 is the first new model from the Dutch yard for quite some time and it’s one that has been met with great anticipation. 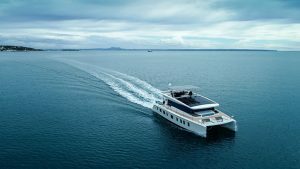 Elling is renowned for building tough, capable long-distance cruisers so it’s reasonable to assume that this new flagship should be the best one yet. 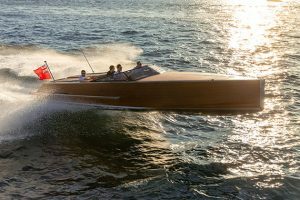 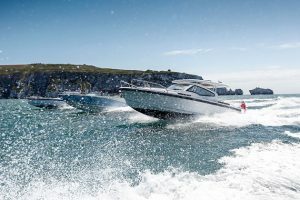 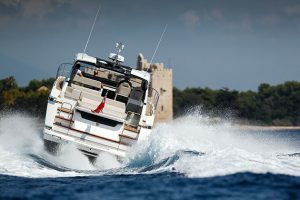 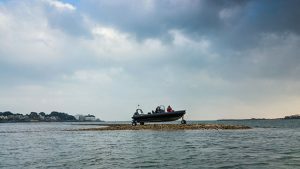 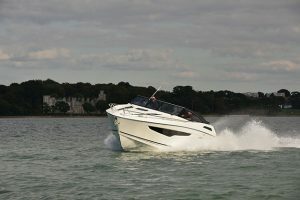 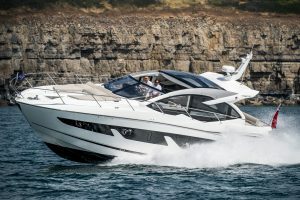 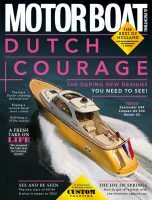 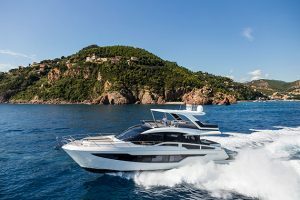 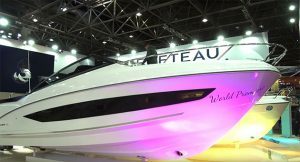 The boat is fitted with a 900hp Volvo Penta D13 diesel and, on test, produced a top speed just over 21 knots but the beauty is that if you throttle back to 9 knots the range rockets to over 2,500nm. 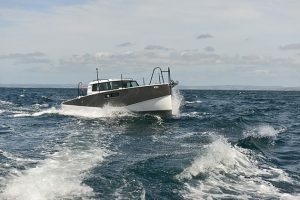 Of course, if you plan on travelling those sort of distances than you may want the comfort of more than one engine and Elling has obliged by fitting a 75hp wing engine as standard that runs off a totally separate fuel and electrical system. 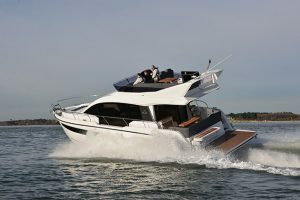 The layout of the interior includes a spacious aft cabin, impressive considering the E6 also has a tender garage large enough for a Williams 325, plus a VIP ensuite in the bow and a third cabin that has bunks and its own bathroom. 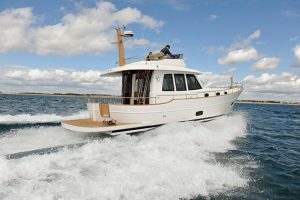 There’s a cosy lower dinette supplementing the main socialising space within the bright wheelhouse, which neatly connects to the comfortable raised cockpit. 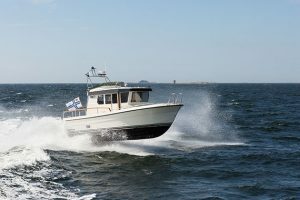 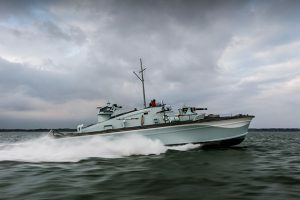 You can read Dave Marsh’s full report on the Elling E6 in the October issue of MBY.